Good Morning! Almost the end of January, can you believe it?! 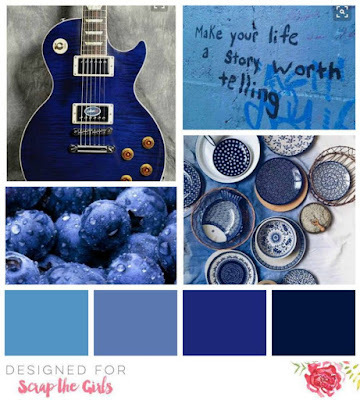 Today I am sharing my take on the inspiration board, more of a colour palette over at Scrap the Girls. 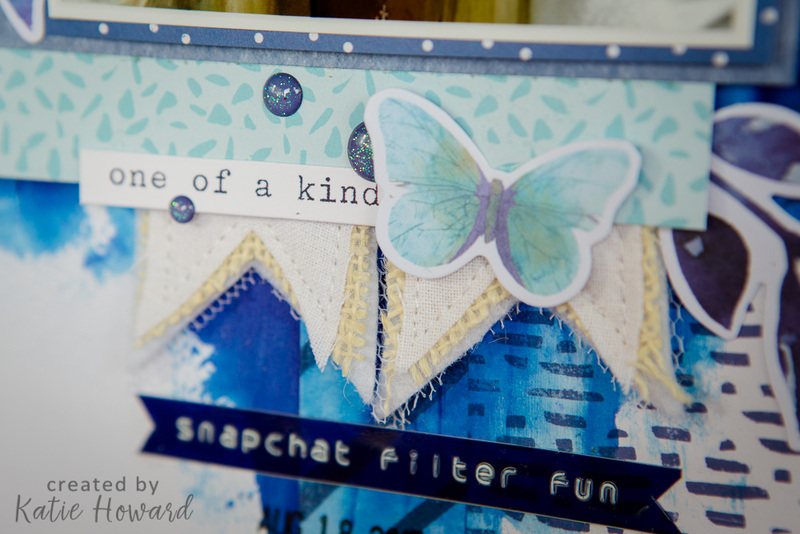 I have used lots of gorgeous blue tones from the Cocoa Vanilla Bohemian Dream collection, and also dies cuts and stickers. 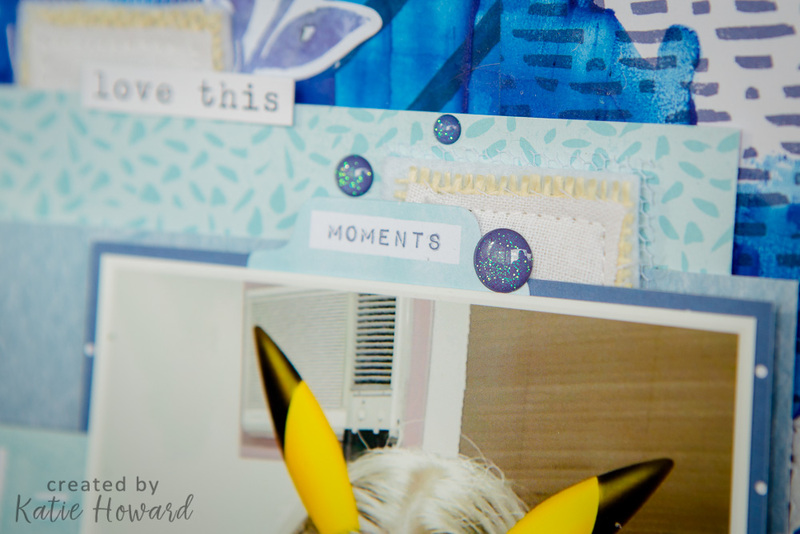 For my background I mixed some Duke shimmer dust from Colour Blast with some texture paste to create the perfect blue. Also layered in there are some Charms Creations DIY Banners, which I cut up!!! Yes, I cut them in half and used them in two different places! Here is the top half, just like a little tab! And the other one, layered with other bits and pieces. 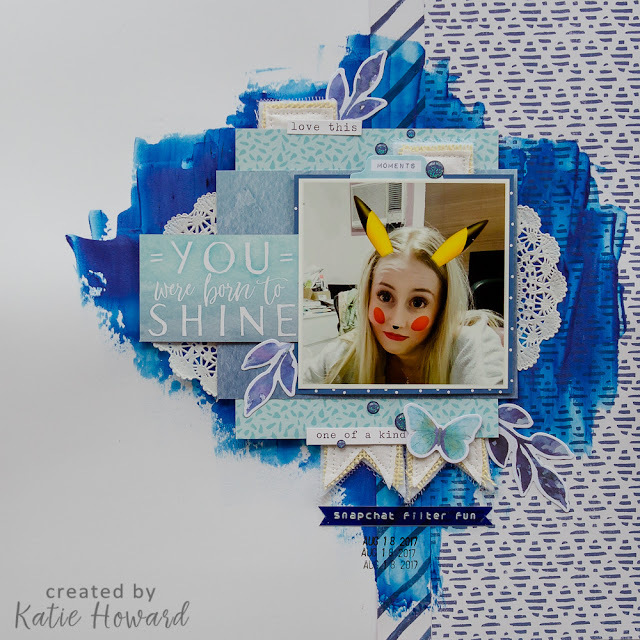 Great layout Katie, love the paste over the papers. Thanks for joining us at STG. lovely layering and the color is great!! Awesome use of Bohemian Dream! Love snapchat! hi hi Beautiful layout, love it! Thank you for joining us at Scrap The Girls! Great layout, i love your cluster! Thanks to playing with us at Scrap The Girls! Haha - it's hard when we love a photo that others don't! 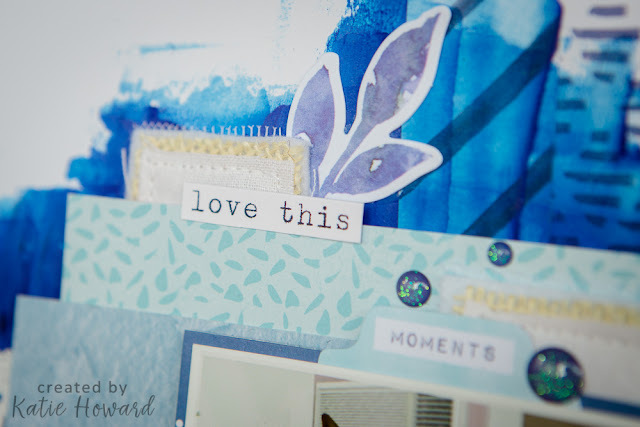 Fab page - love the blues.